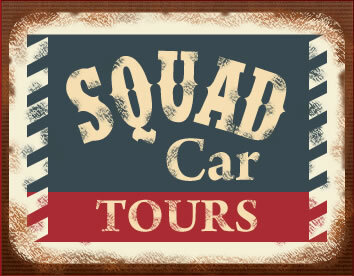 Mount Airy’s famous Mayberry Squad Car Tours await your arrival! 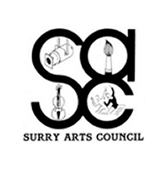 We are located at Wally’s Service Station at 625 South Main Street in Mount Airy, NC. 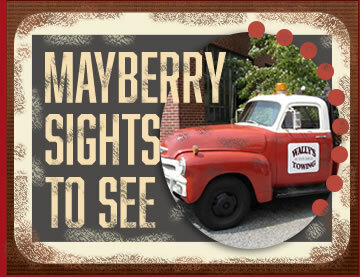 This is an exciting tour of our historic town and all it’s famous Mayberry landmarks. We’ll start you off at the famous Wally’s Fillin Station, then take a ride down main street and check out all the sites like the Barney’s Cafe, Floyd’s Barber shop, Snappy Lunch and then we’ll swing by Andy’s original homeplace. This and much more can be seen while taking a trip through the past. If your a true Andy Griffith fan then this tour is a must. Where else will you ever get the chance to ride in a Mayberry squad car. 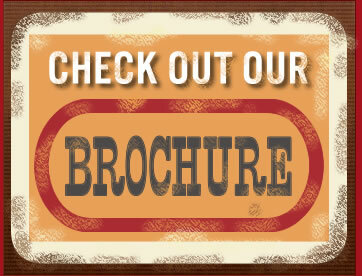 This is an experience you’ll never forget!